Since you are here you have probably heard about a theory by an italian ex. doctor named Tullio Simoncini, in which he claims that all cancers are fungal colonies. I am a pathologist. 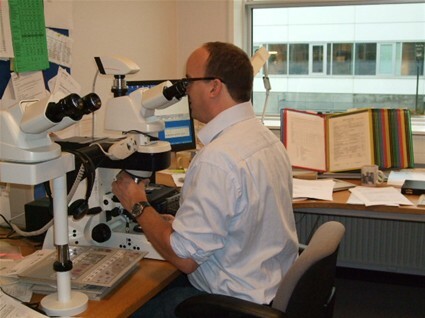 Part of my job is to examine cancers. This is done by measuring the cancer,cutting it up in slices and taking samples of relevant parts of the cancer for microscopic examination. On this website i Will try to explain how my working experience proves beyond a shred of doubt, that Simoncini is wrong about this. On some websites it says that he once was a prominent oncologist. In reality he was never working as a regular employee of the medical staff at the oncology department. He worked as an unpaid volunteer. He only administered treatment to cancer patients under supervision of senior doctors. His main occupation at the time was as a doctor in the Italian Social Security Service, assessing whether disabled people were eligible for pension or not. Chances are that you have seen video appearances of him on the internet, in which he explains his theory and presents his "evidence". On this site we will explore some of his statements. This site deals only with the anatomical aspects of his theory. The use of sodium bicarbonate as treatment will not be discussed here. All pages can be viewed independently, but it might be easiest to go to Simoncinis claims and follow the links from there. Maybe the subject is of particular interest to you because you or somebody you know has cancer. You might be terrified about the idea of having chemotherapy. If that is you, then you should read this. Also this video is worth watching. If you have any questions about the content on this site I´d be happy to answer them. You can contact me here.